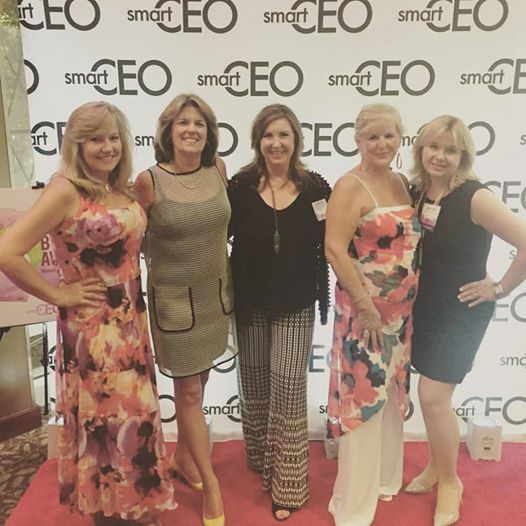 The Brava Awards created by SmartCEO, is a program which celebrates high-impact female business leaders in three categories: CEOs, Executive Directors of Nonprofits, and C-suite executives. Brava award winners combine their irrepressible entrepreneurial spirit with a passion for giving back to the community, and are exemplary leaders of both their companies and their communities. They encourage local philanthropy, mentor up-and-coming leaders and set their companies on the path to tremendous growth. 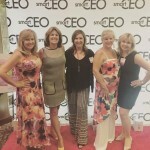 Pictured from left to right Amanda Gianotti CEO Allogram Awards, Janet Brandt Majev, Director W by Worth It Beats Shopping, Denise Buchman CORE Consulting & Business Development, Wanda Smith, CEO Symphony Placements and Kathie Herbst Okun, Founder Okun Financial Group a Brava Alumni 2013.